Hi James. My name is Taylor and I'm a former sales associate at Blackbird. 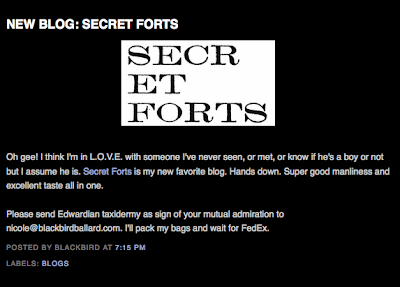 I came across your blog when Nicole posted it on the BB website. Just wanted to comment on how impeccable your taste is in both style and culture. It's almost a bit narcissistic for me to say, as we share a quite similar aesthetic in fashion and eerily congruous taste in literature (the shot of your bookshelf could literally have come from my apartment back in the states). anyway, keep up the fine work! I will continue to follow your blog with great anticipation!